Currently, Facebook is involved in a controversial crossroads . It was discovered that the Cambridge Analytica company had collected private data from more than 87 million users of the social network around the world. While Mark Zuckerberg tries to placate people by apologizing and apologizing, software developers also work piece by piece to improve the privacy of their applications. In fact, it even leaked that Facebook was deleting messages from some of its executive members and scanning the chats of its users . Facebook aims to improve its instant messaging application Messenger for iOS and Android including a new feature that will allow users to delete messages on their smartphone and / or tablet. So far, we do not know how it will really work, but the media calls this new function under the name "unsend" (un-send). So, apparently, Facebook Messenger will join WhatsApp Messenger and Telegram with this message deletion feature. 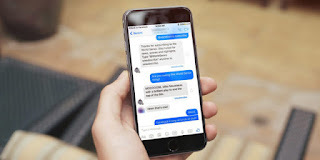 The new feature to delete messages from Facebook Messenger will be available for iPhone, iPad and iPod touch on iOS as well as for all models of smartphones and tablets on Android. Probably, Facebook will set a time limit so that users have the possibility to eliminate those messages they want by means of some kind of tactile gesture on the screen (keeping the finger pressed or sliding it to the side on a message) or with the implementation of a Action button in the options menu. "We are creating a function to delete messages. It will take some time. And until it is available, we will not eliminate more executive messages. We should have done this before. " 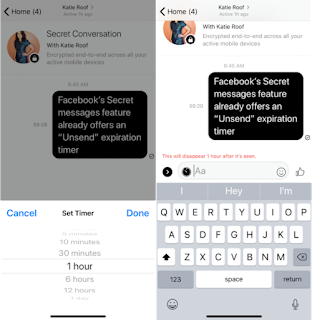 Currently, Facebook Messenger offers a very similar functionality known as "secret messages" for content encryption . This feature allows users to establish which specific chat messages expire automatically after a certain period of time. The novelty of Facebook Messenger will be available in a few months , so we will keep you informed on this matter.